Decluttering is a process, one step on the path toward a simpler, more intentional life. Less stuff means less maintenance, less cleaning, and less stress. Removing excess brings you more space, more time, and more energy. Brooke McAlary, author of Slow: Simple Living For a Frantic World, calls clutter "deferred decisions" and "the physical manifestation of procrastination." 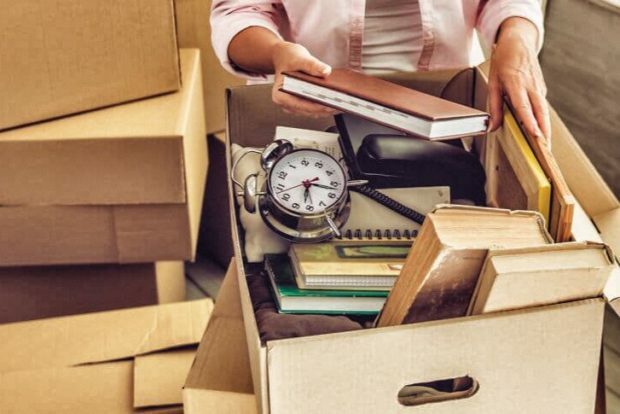 But the process of decluttering builds your decision-making ability as you choose what to hold on to and what to remove. Over time you gain more clarity and confidence about what is important to you. 1. Have you used this item in the past year? Do you anticipate a specific use for it in the future (NOT "just in case")? If not, why are you keeping it? 2. Is this item something you've kept out of guilt or obligation? Even if it was a gift, it was your grandmother's, or you spent a lot of money on it, you have permission to let it go. 3. Is the item itself important to you, or is it the memory attached to it that you value? Realize that the place, event, person, or relationship does not exist in the item. Would you still feel the emotion without the physical item? If yes, do you actually need to keep it? 4. Is this item something you bought because you thought you should own it, or because you thought it seemed interesting, but now it sits unused? Release that carpet cleaner, exercise equipment, sewing machine, or pasta maker, and free up time and space for activities you actually do. 5. Did you buy this item to keep up or fit in with a trend? Do you want others to decide how you spend your time, money, and energy? If it's not right for the life you want to live, let it go. 6. If you were moving, would the item in question be worth packing, hauling, unpacking, and finding space for? If not, why are you keeping it? 7. Is it more important to you to keep this item, or to have the space it occupies? I’m very excited I found your blog through Miss Minimalist! I’ve been enjoying reading through your archives for motivation! Thank you! Thank you, Easy Going Vegan, and welcome! Please subscribe if you haven't already done so.